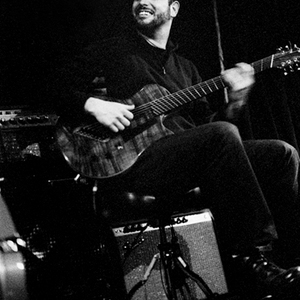 Since the debut of his self-titled Charlie Hunter Trio in 1993, Charlie Hunter has recorded 17 albums. During that time, Hunter has worked with and recorded with many artists, including Miles Perkins, Scott Amendola, Will Bernard, Skerik, Jay Lane, Dave Ellis, John Ellis, Mimi Fox, Peter Apfelbaum, Stefon Harris, Kurt Elling, Bobby Previte, Greg Osby, Chris Lovejoy, LeonParker, Josh Roseman, John Santos, John Schott, D'angelo, Calder Spanier, Mos Def, Norah Jones, Adam Cruz, Willard Dyson and John Mayer to name just a few. He has recently put out his first self-released record entitled, "Baboon Strength". The album consists of 9 instrumental tracks with sounds ranging from jazz to funk to 80's pop. Critics are calling this Hunter's most interesting and fun release to date.